Wallace is one of the most important figures of nineteenth-century biology and in character among its most admirable. He is also one of the very few, like Darwin and Maxwell, whose importance grows with time. 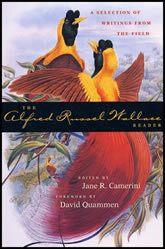 This volume, a well-written biography interleaved with Wallace’s own writing, brings the great naturalist to life.